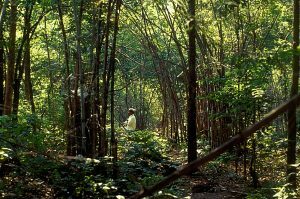 Situated in Gadchiroli District of the Maharashtra State (India), the village ofMendha-Lekha is famous for its bio-diverse, dry deciduous forest, but also for the struggle of its tribal community towards self-rule. Nearly 80% of the village area is forested and under the legally-recognised control of the village. The village has approximately 400 residents, all belonging to the Gond tribe. 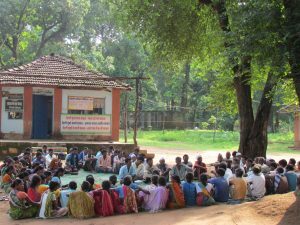 The movement towards self-rule and forest conservation in Mendha and many other villages in Gadchiroli began just after a strong tribal struggle against a series of hydroelectric dams, proposed by the government in late 1980s. The dams would have submerged large stretches of dense forests and tribal lands, displacing thousands of tribals in this region. In 1985, after prolonged and determined tribal resistance, the government shelved the project. The anti-dam struggle emphasized and strengthened the determination of tribal people to take decisions at a local level for activities directly affecting their lives. 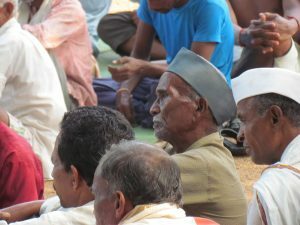 Individuals from Mendha, like Devaji Tofa who had been engaged in the anti-dam movement, initiated a process towards greater village self-rule and collective responsibility. 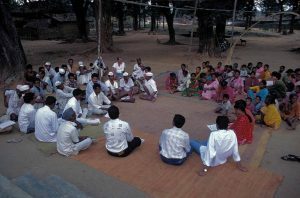 The discussions that ensued over a period of four to five years centered on key village issues, from creating an equal status for women to reducing alcoholism, from engendering greater personal and collective responsibility to establishing the means to protect and regulate the use of the surrounding forests. The discussions led to many positive social, cultural and environmental changes, including the development of a forest protection and management system in the village. 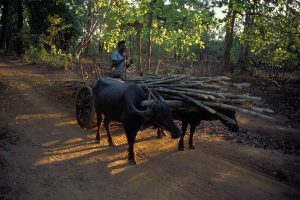 On 28th August 2009, Mendha became one the first villages in India whose rights and responsibilities to use, manage and conserve the 1800 ha of forests falling within its traditional boundary were legally recognized as Community Forest Resource (CFR) under the Schedule Tribes and Other Traditional Forest Dwellers (Recognition of Forest Rights) Act of 2006. 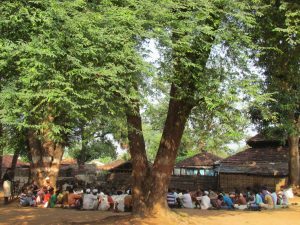 Amongst the most significant actions that the village has taken in the recent times has been declaring the land in the village (including community owned or privately owned) as village commons under the Gramdaan Act of Maharashtra. 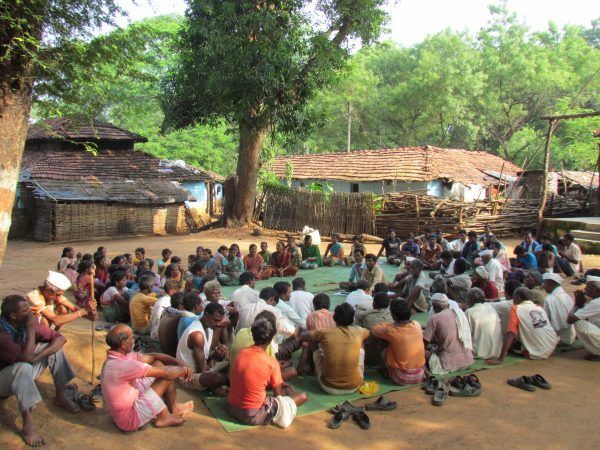 In addition to all forest land, which legally belonged to the government till 2009, when the village successfully claimed it as its own traditional forest resource, all privately owned lands in the village are also under the collective legal ownership of the village, represented by the village general assembly (gram sabha). Land can be inherited but not sold. 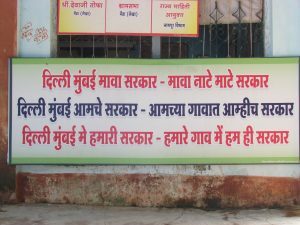 Through this practice, the village aims to prevent land alienation under distress. 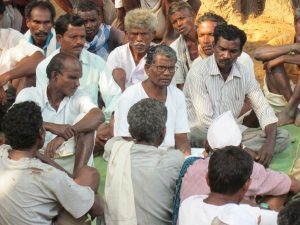 The gram sabha has taken numerous decisions to strengthen ecological, food, water, livelihoods and social security, and to eliminate poverty. With enough cultivable land and water security for all, the farmers ensure good harvests every year. And, in case of crop failure, the village has a Grain Bank that can loan grains to families to ensure food security. The Grain Bank is maintained through a voluntary contribution by each family at the end of each harvest. Loans taken are also returned with a small interest at the end of a good harvest. 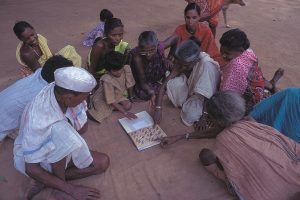 Each family contributes 10% of its income in a gram sabha account. This account is used to provide interest free or low interest loans to villagers when needed, eliminating dependence on money lenders, which is a major cause of distress and farmers suicides in many parts of India. Taking advantage of the government National Employment Guarantee Act (NREGA) the village has linked all village development and forest management activities to NREGA activities, ensuring that all villagers have employment throughout the year and eliminating out migration – a serious problem faced by many poverty-stricken villages across India. Mendha-Lekha has demonstrated that legal security of their rights to govern, use, manage and conserve their own resources and lives, supported by internal transparent processes of self-strengthening, can empower people, eliminate poverty, ensure food and water security, and secure local biodiversity. And all this happens much more effectively then via “extractivism”, capitalism, and development models based on centralized top-down policy. To read more about the results achieved and lessons learned in the process, please click HERE.